While good things come in small packages, dog food for toy breeds doesn’t always fit the stereotype. Your small dog may think that he’s a big, ferocious Doberman, but that doesn’t mean that he has the dietary needs of one! Read on for the best ways to determine the right food for your pet! Don’t assume that just because Fido is small that he’ll need less food. Toy breeds have insanely fast metabolisms, and will need more calories per pound than their galumphing counterparts. However, be careful not to overfeed your pet! Weight gain affects small dogs differently than big ones, and a little weight goes a long way. Look for a food with high fiber and meat content, rather than filler, so that your teeny pooch will have the nutrients and caloric intake he needs to stay perky and happy. Fillers to avoid includes corn or waste animal products, since your pet may find these fillers to be irritating on his smaller-than-average bowel. Ingredients to look for are food-grade meat, pea protein, whey, brown rice, and aboveground vegetable matter. These foods can be much more expensive than the unhealthy brands, but they’ll be worth it when you see just how clean and healthy your pup is… as well as how much money you save on vet visits! On top of nutritional value, you should also look for food that’s broken into small bits. Large chunks of food could potentially choke or hurt your small dog, so kibble type foods is ideal for them and their smaller jaws. Small dogs, even more so than big dogs, also need to watch for their dental health. Their enamel gets broken down more quickly, so therefore their teeth are more prone to decay. Thus it’s important to find a dog food that is delicate on their teeth (not too hard) and can provide a little cleaning action (somewhat textured) all at once. Using doggie treats designed to help clean teeth is also helpful, but a healthy mouth starts with healthy food. If you find that your pet is starting to gain more weight than is good for them, it can become a bit of a medical emergency. Because of their small size, a pound or two can make the difference between a healthy weight and an unhealthy one. An overweight small dog can suffer from back problems, hip dysplasia, heart disease and more, so it’s essential to feed them just enough for their fast metabolisms while also refraining from overfeeding. This can be difficult with bulk amounts of dry dog food, since it’s easy to lose track of how much you’ve fed your pet throughout the day. You can solve this problem by switching to single serve wet dog food, which allows you to closely track your pet’s caloric intake to monitor for accurate amounts. If your dog doesn’t take to wet dog food, or if the cost is prohibitive please check this guide for the best cheap dog food for under $1 per pound. Also you can invest in a timed feeder that automatically measures out accurate amounts of food each day… all so you don’t have to! Another tricky part of deciding what food to feed your small dog has to do with their age. Puppies need different types of food than adult dogs, and senior dogs need different food from both puppies and adult canines. But how do you decide? Well, puppies have especially high caloric needs, since their food supports their rapid growth. Small dog breeds, especially, need good nutrients as they grow from puppies, since they reach adulthood faster than bigger dogs. 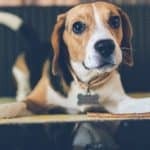 This rapid growth, coupled with small dogs’ need for calorie- and nutrient-dense food, means that you need to look for small-kibbled, high quality dog food designed for puppies. Generic food won’t do. 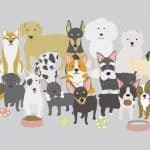 Adult dogs have more wiggle room – so long as the food is food grade and free from fillers, the food should be just fine. Senior dogs, on the other hand, need less calorically dense food as their metabolism slows with age. They also need more fiber in their diet to assist their bowels in eliminating waste, so choose a food designed with more vegetable matter and bulk protein from peas or whey. A good way to tell if your pet is thriving on its diet is to determine their energy level, appearance, and overall health. Check for a glossy coat with minimal shedding, as well as bright eyes and a wet nose. This shows that your pet is getting the vitamins and minerals it needs – otherwise, all nutrition from the food would go strictly to survival rather than appearance, which presents as a dull, greasy coat and a dry nose. 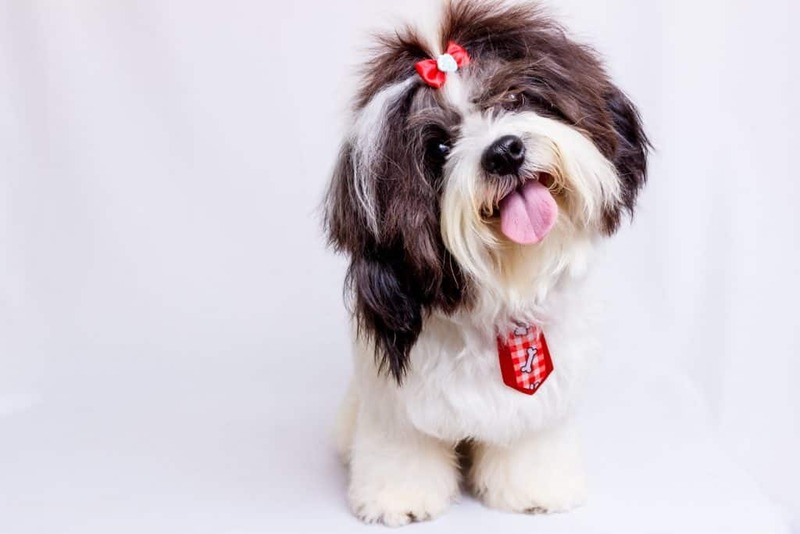 Your pet should also be peppy and ready for a walk after a long day of waiting at home for you to get back from work, and should have more healthy days than not. A common issue with finding a good food for your pet lies in your pet itself. Sometimes they get picky with their foods, eschewing whole textures or flavors. Sometimes it’s just a matter of choosing the most pared down, simple ingredients for your pet, since a multitude of ingredients and flavors can overwhelm them. It could also be a matter of texture, since an overly large or wet kibble could put your pet off their lunch. If all else fails, continue introducing foods to your pet until it settles on one it prefers – the market is lush with healthy foods with great caloric density and sufficient size, so a little experimentation can’t hurt! In the end, it’s important to find a dog food that your little one will enjoy, will keep them healthy, and will be kind to your budget. Experimentation, study, and consultation of posts like this one will lead you to the best nutrition for your small dog, so no need to worry! Your pet will be squared away in no time. Just be open to new things, and your pet will thank you!